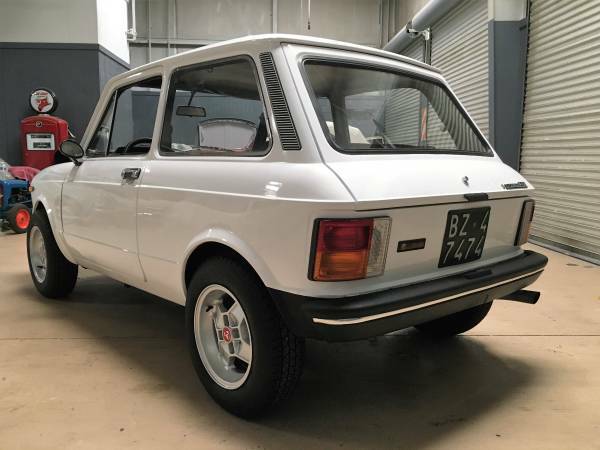 A very rare little Fiat from 1975. 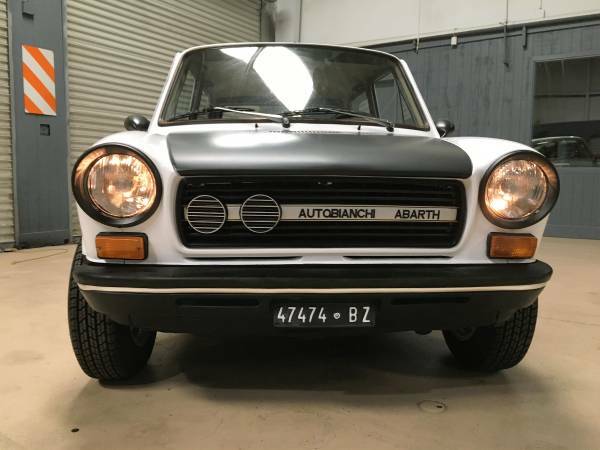 The Autobianchi A112 Abarth. 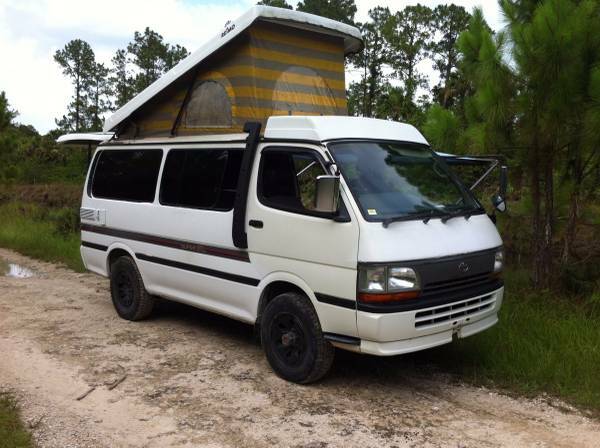 See more from the seller on Craigslist in Atlanta, GA. 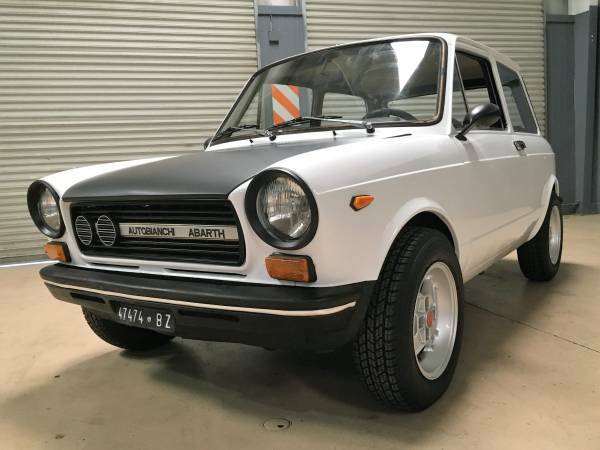 THIS IS AN EXTREMELY RARE AND RUST-FREE 1975 AUTOBIANCHI A112 ABARTH RE-CREATION. 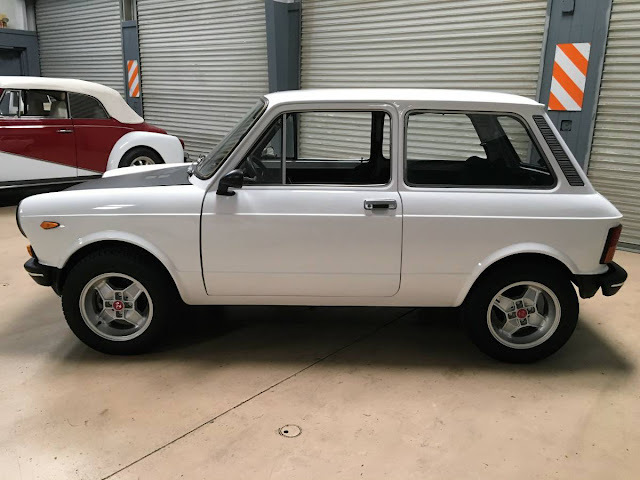 THESE CARS WERE NEVER OFFICIALLY IMPORTED TO USA. LESS THAN A HANDFUL WERE IMPORTED BY INDIVIDUALS AND NON FOR SALE. 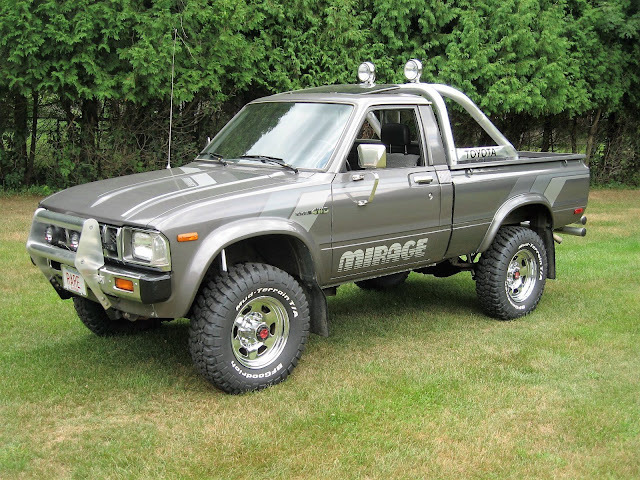 WE WERE TOLD THAT THIS CAR WAS IMPORTED IN 2004 BY A US SERVICEMAN STATIONED IN EUROPE. THE MECHANICAL AND BODY PARTS ARE READLY AVAILABLE THROUGH COUPLE OF SOURCES IN USA AND ON EBAY. 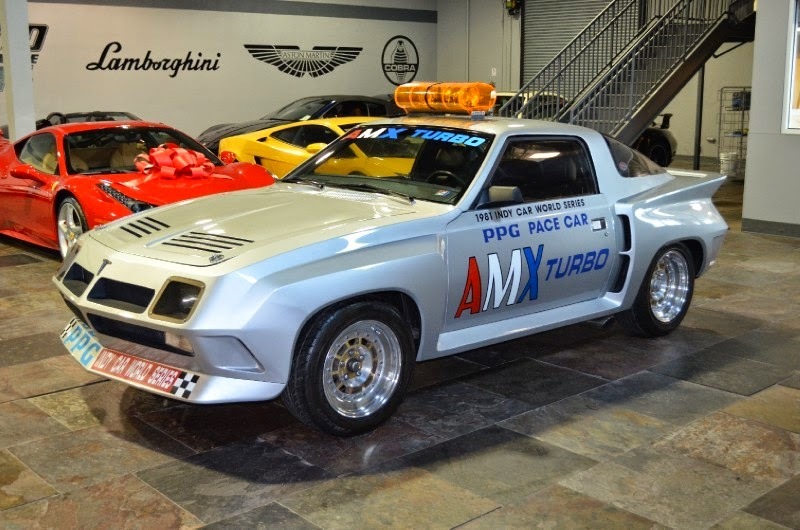 THESE CARS WERE EXTREMELY POPULAR FOR RACING AGAINST MINI COOPERS BECAUSE OF THE FULL INDEPENDENT SUSPENSIONS AND THEIR LIGHT WEIGHT. THIS CAR HAS A CLEAR FLORIDA TITLE. 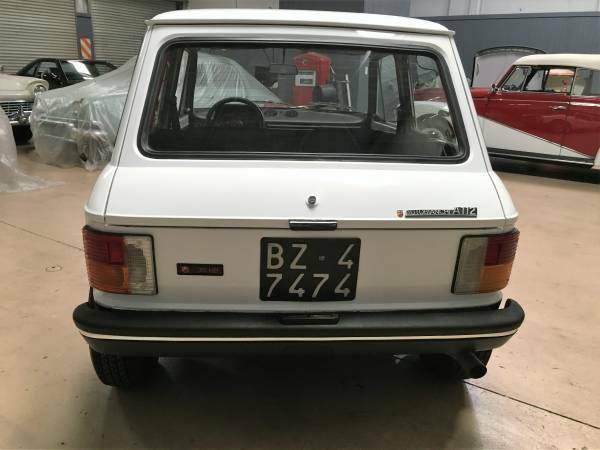 THE VINTAGE ITALIAN METAL FRONT AND REAR LICENSE PLATES ARE NOT INCLUDED IN THIS SALE. 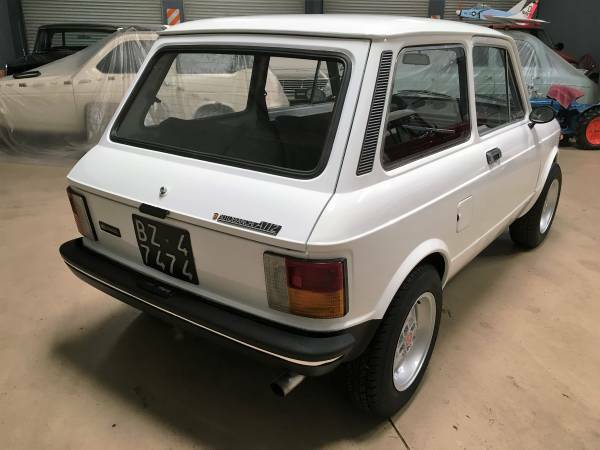 THIS CAR STARTED ITS LIFE AS A AUTOBIANCHI "ELEGANT". 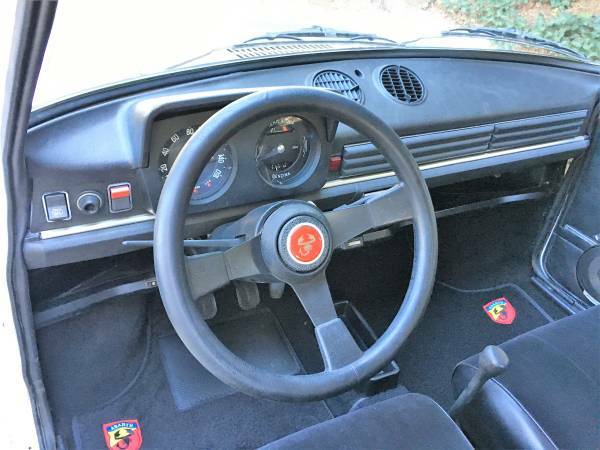 IT IS FULLY RESTORED AND HAS THE ABARTH GRILL, STEERING WHEEL, WHEELS, AND BADGING. THE ORIGINAL 4 CYLINDER 903cc ENGINE PRODUCES 58 HP. 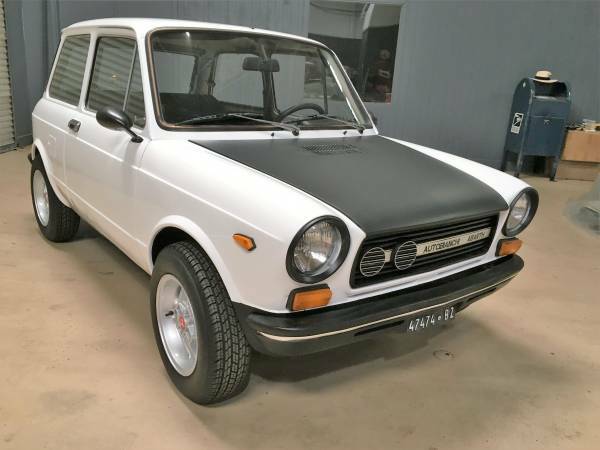 THE ABARTH VERSION WAS EQUIPPED WITH A 4 CYLINDER 1050cc ENGINE PRODUCING 70 HP. 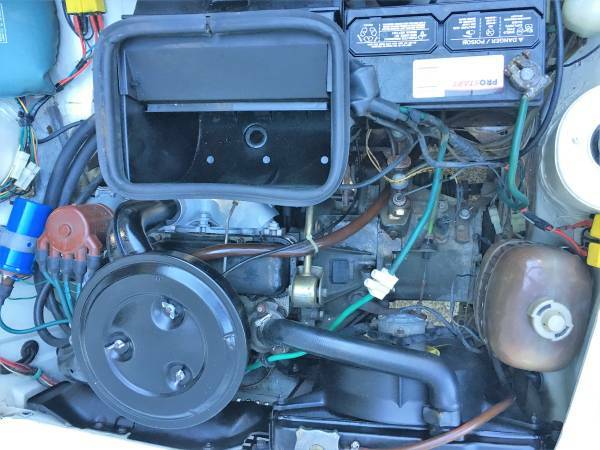 THE ENGINE STARTS IMMEDIATELY EVERY TIME, DOES NOT SMOKE, AND RUNS WELL. 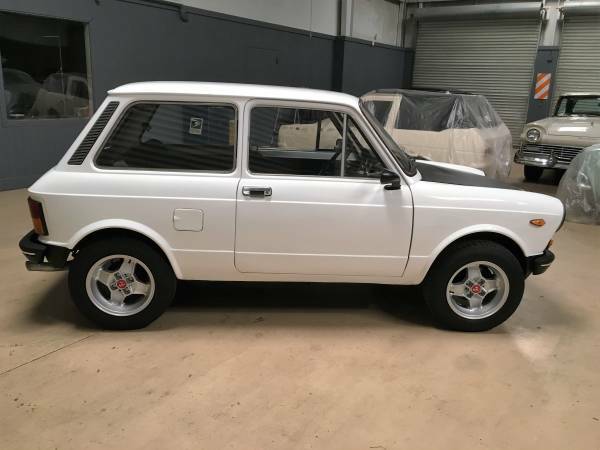 THE TRANSMISSION SHIFTS THROUGH ALL 4 GEARS AND THE CLUTCH IS STRONG. THE BRAKES AND SUSPENSION FUNCTION PROPERLY. ALL LIGHTS, GAUGES, AND HORN WORK. 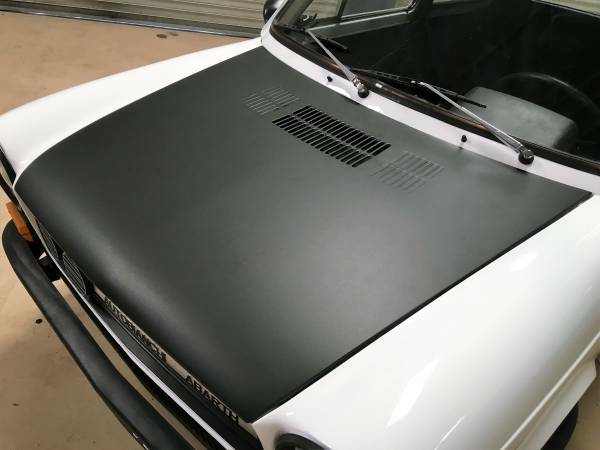 THE BODY PANELS ARE RAZOR STRAIGHT AND HAVE PERFECT SHUT LINES. 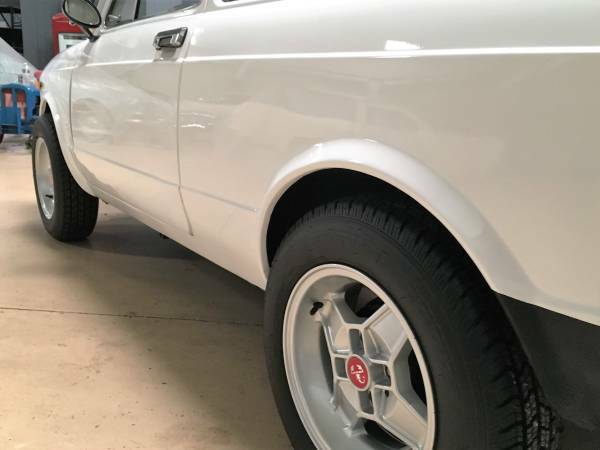 THE NEW PAINT IS GLOSSY AND BEAUTIFUL WITH A FEW MINOR FLAWS. 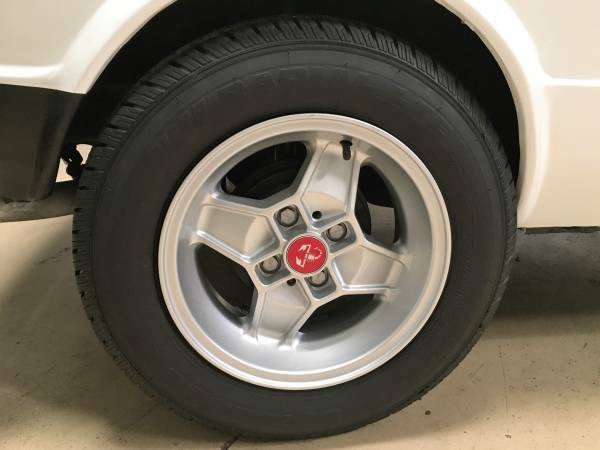 THE CAR CAME WITH 4.0"x13.0" WHEELS. NOW IT RIDES ON A SET OF BRAND NEW 5.5" x 13.0" CD WHEELS AND NEW TIRES. 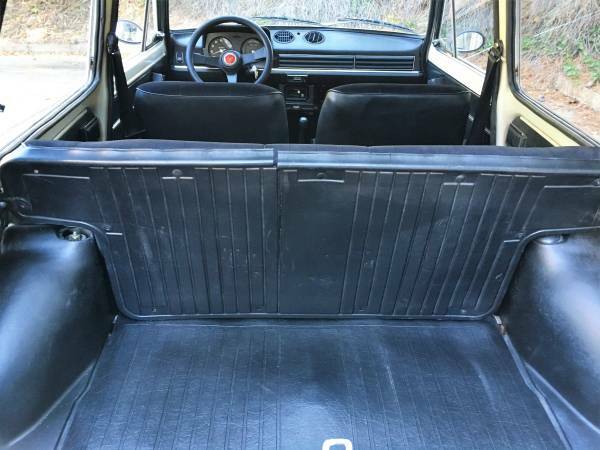 THIS CAR IS ABSOLUTELY RUST-FREE. 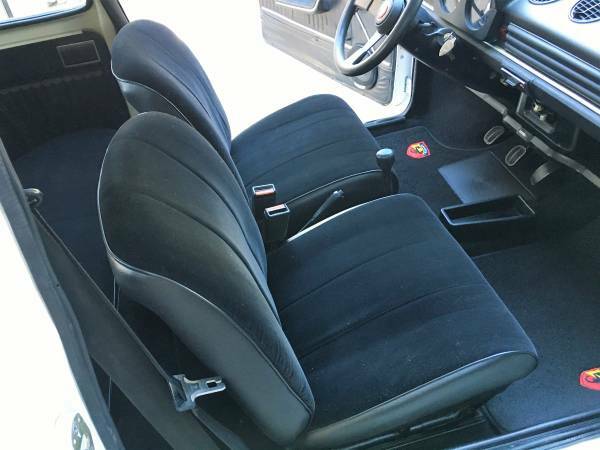 THE BODY PANELS, UNDER-CARRIAGE, SPARE TIRE AREA CLEAN WITH NO RUST ( SEE PHOTOS). 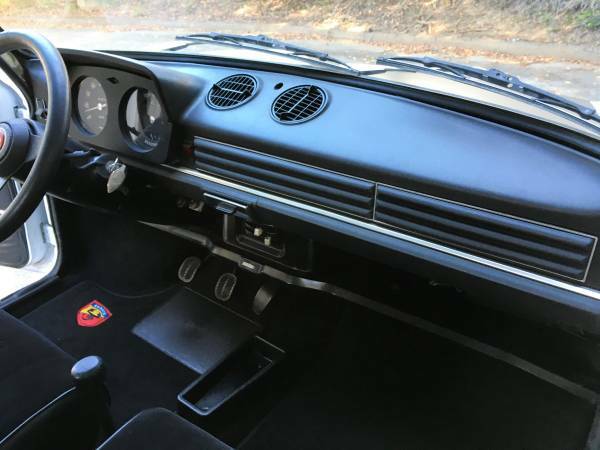 THE INTERIOR IS PERFECT WITH NO CRACKS ON THE DASH. 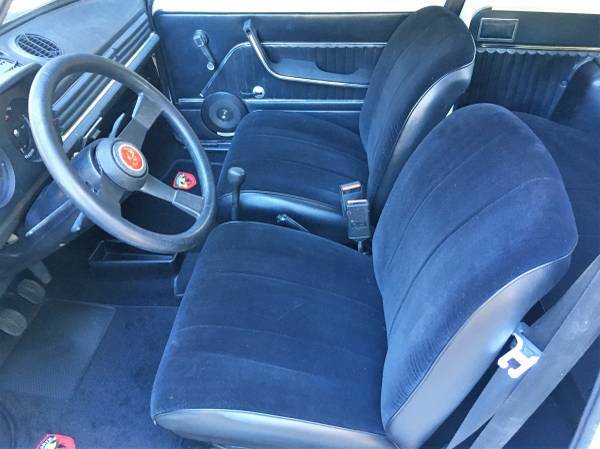 THE ORIGINAL MOLDED CARPET IS PROTECTED WITH A SET OF BRAND NEW FLOOR MATS WITH ABARTH LOGOS.